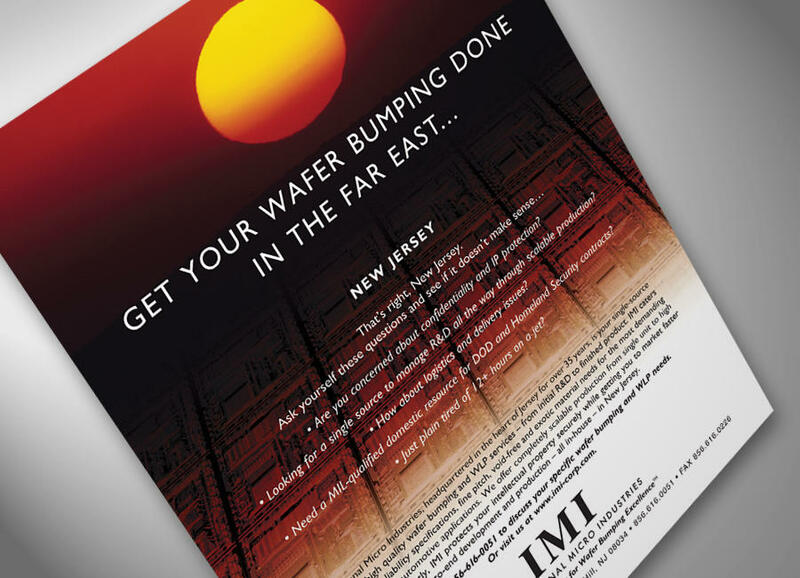 IMI’s ad campaign cut right to key industry sore spots for high-tech chip manufacturing – Overseas outsourcing, security, IP piracy, reliability issues, etc. – with a play to show how a small company in New Jersey can provide solutions to these problems for America’s technology elite. Targeting DOD, aerospace, automotive and medical device specifiers, IMI’s “in your face” ad copy hit hard, catching its audiences off guard. One of the first of multiple new clients responding to the ad? Johnson & Johnson.